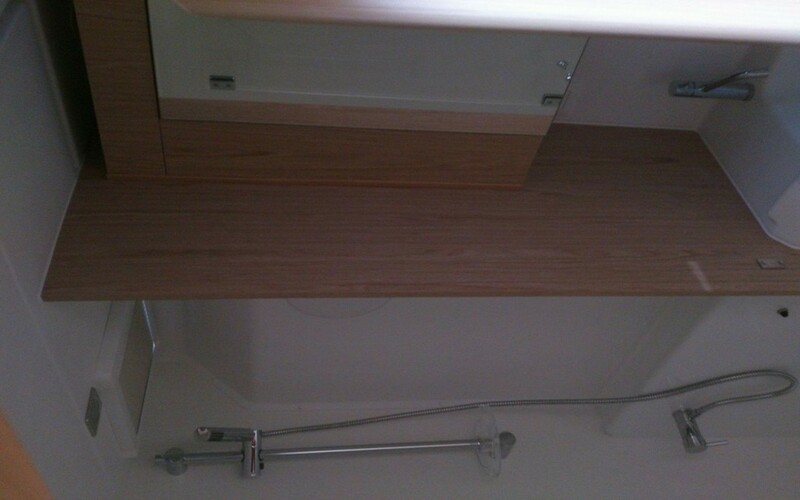 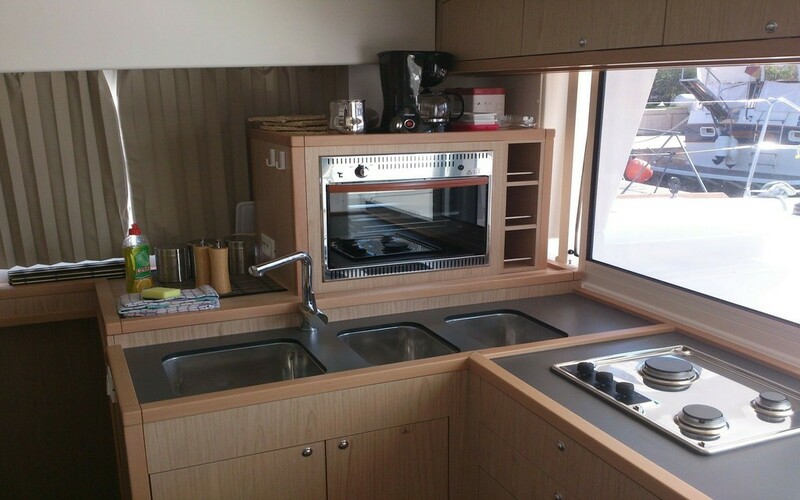 Luxurious and modern with its Alpi® grey oak finished cabinets, and Milano laminate flooring. 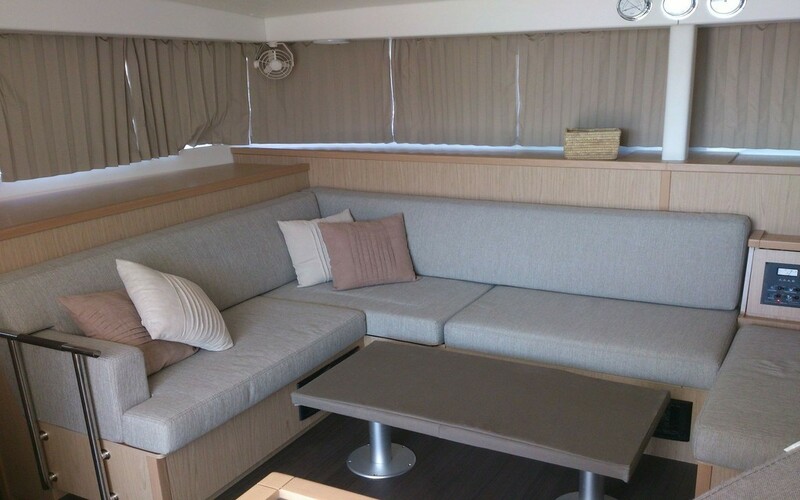 Even more spacious with the redesigned layout of the salon. 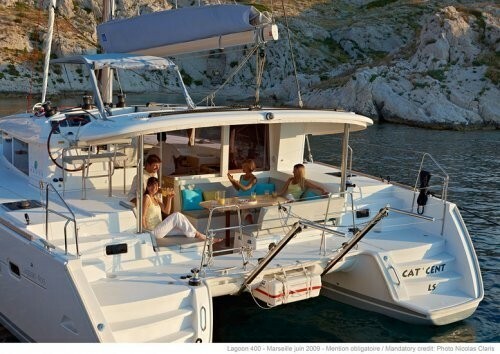 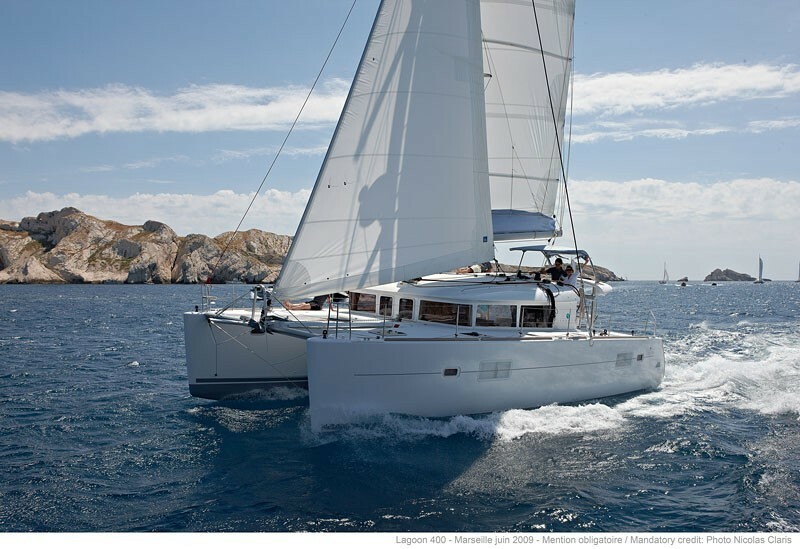 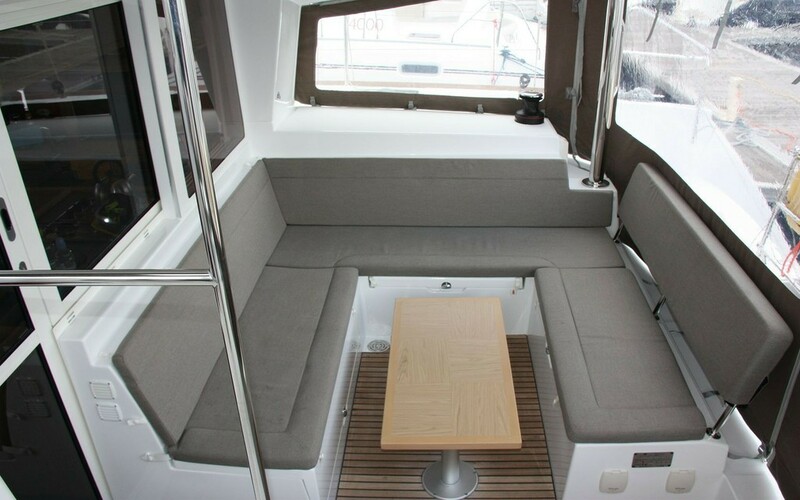 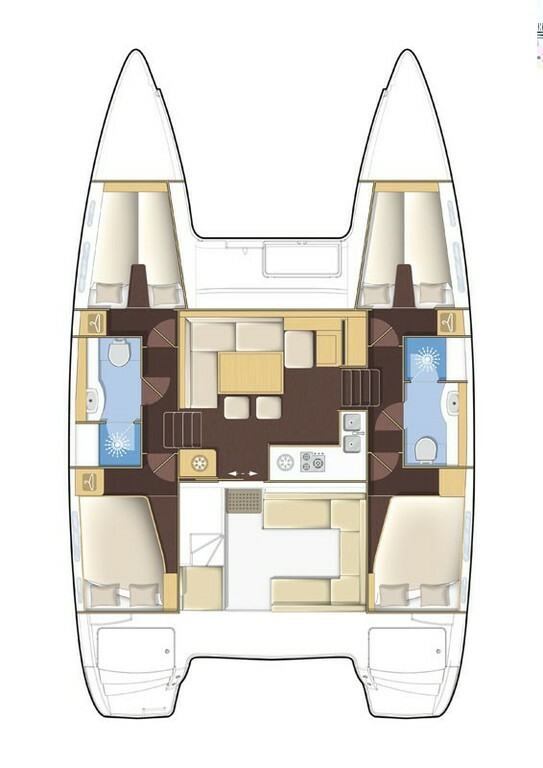 High level of comfort with widened double berths in owner and guest cabins. 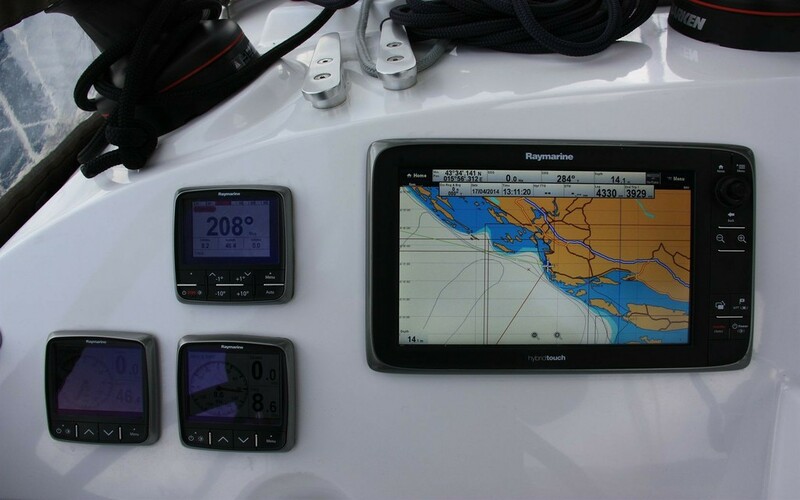 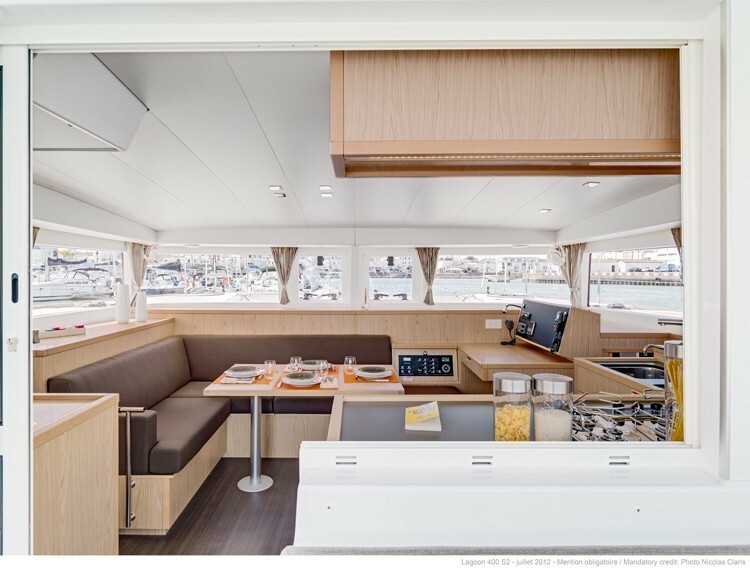 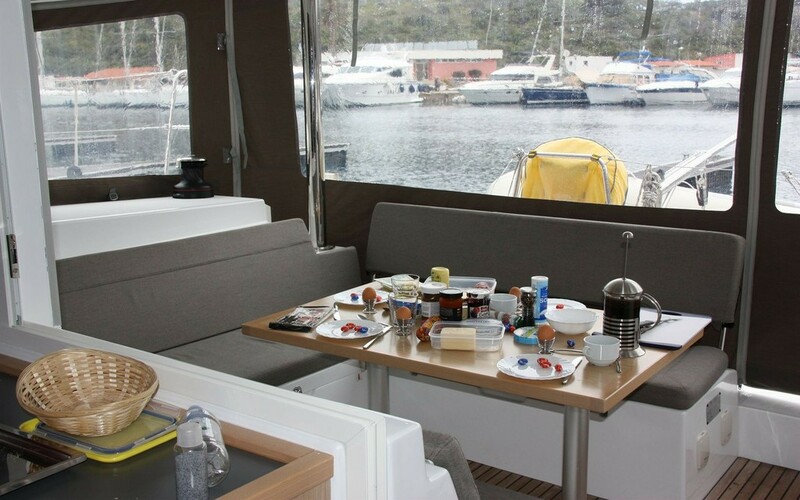 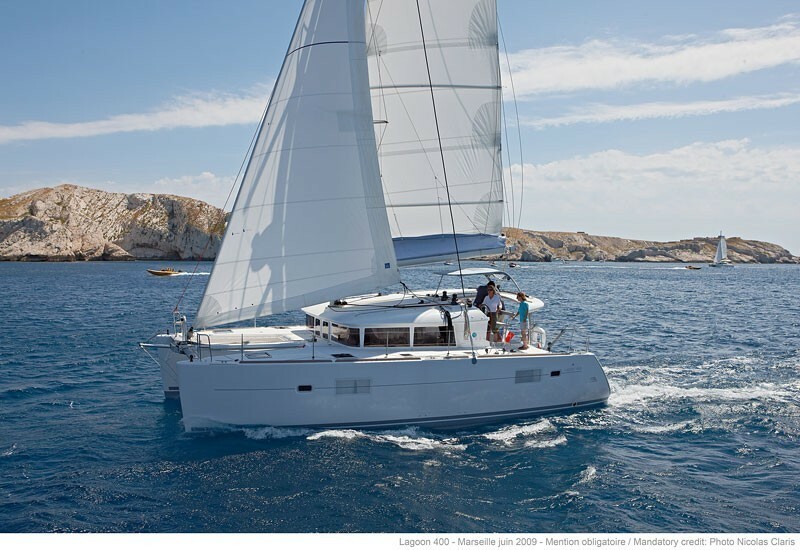 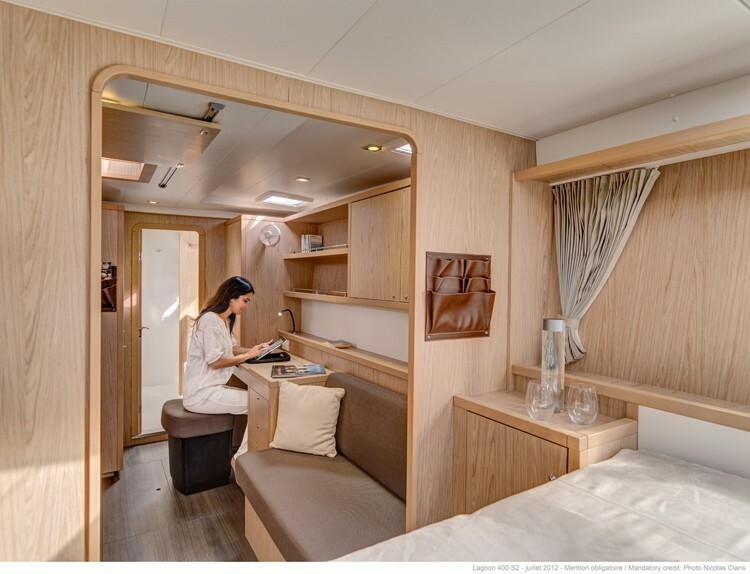 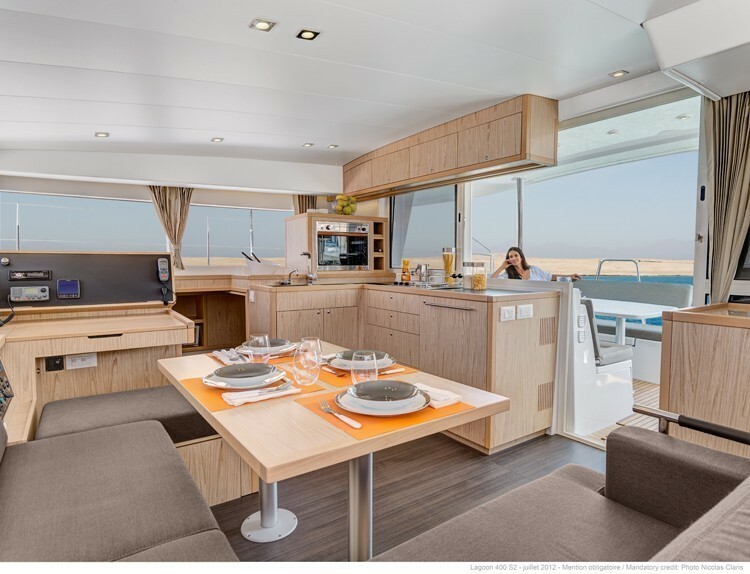 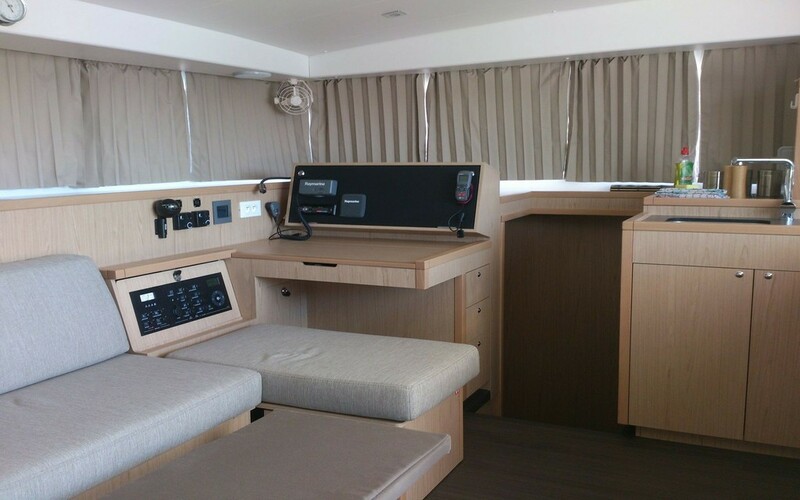 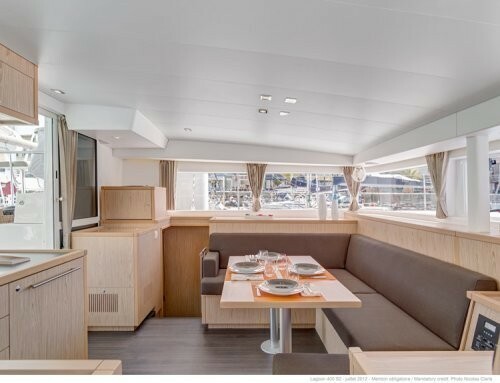 In the owner version, an impressive suite rarely found on catamarans of this size, featuring double cabin, couch, and desk.